Apply below code & Get Again Rs.50 Off & Grab the voucher absolutely Free! 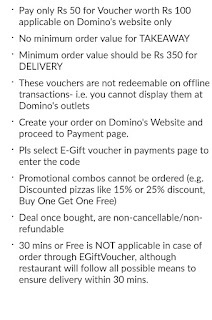 How to Get Rs.100 Dominos Coupon For Free? • Then After Applied Voucher Cost you only 0 RS. 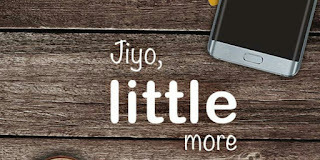 • Note down your code & redeem it. 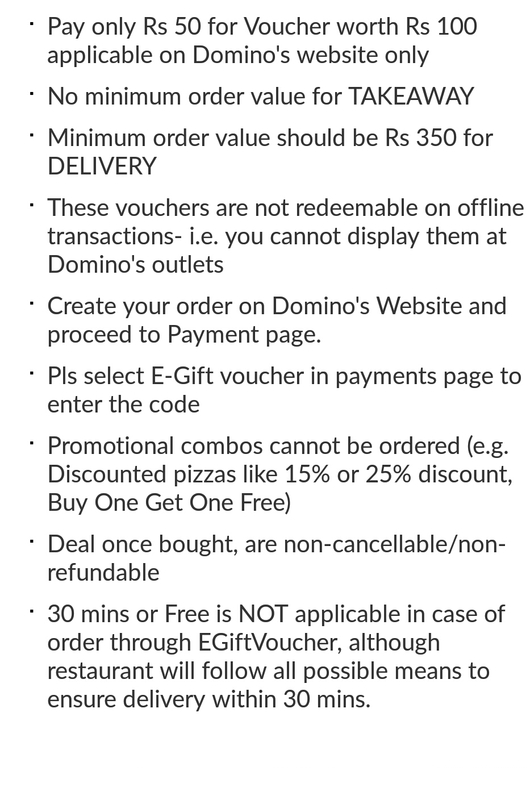 Note:- This is 50 Off On 100 Voucher Dominos Code, Which is Only Usable on Online Payments.